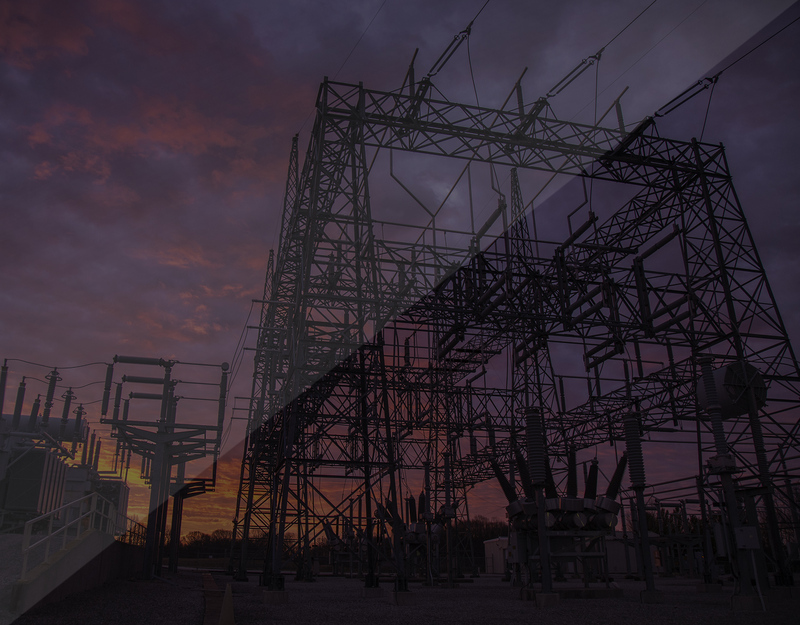 Founded in 1949 and based in Bloomington, Indiana, Hoosier Energy is an electric cooperative that serves 18-member electric cooperatives in central and southern Indiana and southeastern Illinois. Their mission is to provide members with assured, reliable and competitively priced energy and services in a safe and environmentally responsible manner. They demonstrate their commitment to that mission through their actions and results. 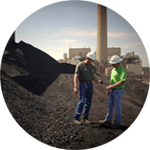 Their generation includes coal, natural gas and renewable energy resources, with power delivered through a nearly 1,700-mile transmission network. 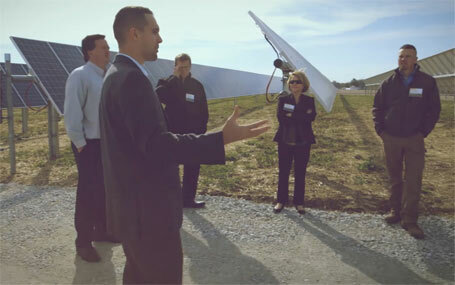 Hoosier Energy had begun work on a new headquarters and a new operations center and Eric Neely, Communications Coordinator for Hoosier Energy, wanted to find a better way to reach their workforce. "We had a digital communication system in use but the content and functionality wasn't at the level I knew we could take it to" Eric explained. Key to the company’s vision was employee engagement. This was particularly challenging due to the different types of work functions across multiple locations. At one of their power plants in particular, most of the employees do not sit at a desk so careful planning was needed to ensure the displays were installed in areas that would get maximum exposure. To upgrade their existing digital signage system to enable the company’s vision, he reached out to Corum Digital, publishers of the MediaTile digital signage platform. Their existing digital signage solution was not capable of implementing Hoosier Energy’s communication strategy so Eric worked with MediaTile to develop a system that could take Hoosier's their digital signage network to where he knew it should be. Careful consideration was given to placement of the screens at the various locations to ensure that all employees have the opportunity to view important company messages. In locations where employees rarely sit in front of a computer all day, displays were mounted in common areas like lunchrooms so that employees are always up-to-date with what's happening within the company without having to go anywhere else. Critical to the success of any digital signage implementation is content. Eric's strategy is to use a common, branded format for all Hoosier messaging so that every location has the same look and feel. A template was developed using MediaTile’s built-in Content Designer that displays the current weather to the left and a listing of the open job postings below. An animated logo run along the bottom for corporate branding and the remainder of the space (about 1/3 of the template) is used for showing specific messaging. A long dwell time is not expected so the messaging is very specific, uses bold imagery to attract attention, is light on text and includes some kind of call to action. As an example, when it's time for open elections for HR benefits, the messaging will include the time frame when this is happening and where to go to get more detailed information. For a company meeting, the content will include a brief description, time, date and place. 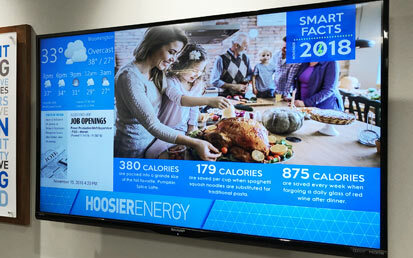 Working with MediaTile, Eric is now able to achieve his vision for Hoosier Energy’s digital signage network. As awareness of how effective the new digital signage network is in communicating with employees, people began approaching Eric with lots of information they want to get out. With MediaTile's centralized management and ease of use, Eric is able to quickly schedule content in advance and target specific screens at specific locations leaving him more time to focus on communications. He also appreciates the high level of support he gets whenever he needs assistance. His advice to others who manage corporate communications or are looking at introducing digital signage is to use a consistent template, keep the text as simple and short as possible, use bold graphics and provide a call to action so people know where to go to get more information. And choose a digital signage platform that's easy to use, reliable and capable of implementing your vision for corporate communications. "We had digital a communication system in use but the content and functionality wasn't at the level I knew we could take it to"